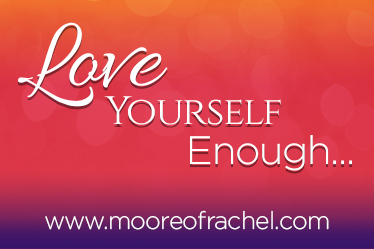 You might ask, what does she mean by “love yourself enough?” So many times throughout life, we fall-short on keeping commitments that we make to ourselves, or we fall-short in finishing things that we start. In January, I challenged you to “Boss Your Body.” Now, I want to inspire you to love yourself enough to be, to do, and to have life of wellness and abundance. When we set personal goals, they are usually goals to make us better, or to improve the quality of our lives. Reaching those goals require focus, girt, determination, and follow-through until we attain desired result. Love yourself enough to finish that which you start. Love yourself enough to believe and not doubt, because faith seals the deal! Now, I want you to personalize those states. Write your personalized statements in a notebook or in a place for easy reflection. I Love myself enough to believe and not doubt, because faith seals the deal! This year I hope to inspire you to reach your health, fitness and wellness goals. After working so hard to loose belly fat, I was determined to find a solution to maintain a flat tummy. So, last year I discovered low-carb living. In order to fill my cravings for tasty and fulfilling foods, I had to start cooking most or all of my meals to make them low-carb. I started experimenting with cooking vegetables that I had never cooked before, such as with spaghetti squash. Spaghetti squash has become one of my favorite vegetables to cook. 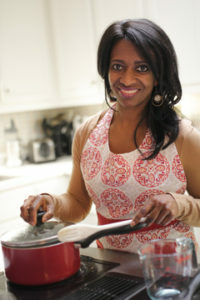 After trying so any recipes and recreating them to fit my taste, I decided to create my first volume for a Top 10 Recipe List. The Resource of the month is my Top10 for 10. Berries are Very Good. Both Strawberries and Blueberries are great Antioxidants that can improve blood flow to deliver more oxygen to muscles. Have some yogurt and berries before your workout to get those muscles ready for action.